This article contains a couple typographical errors in the table and in the formatting of references. The authors and the journal apologize for those errors and respectfully include a corrected table and corrected reference list here. FDA. Frequently asked questions about patents and exclusivity. http://www.fda.gov/Drugs/DevelopmentApprovalProcess/ucm079031.htm. Accessed October 21, 2016. Tufts Center for the Study of Drug Development. Costs to develop and win marketing approval for a new drug is $2.6 billion. http://csdd.tufts.edu/news/complete_story/pr_tufts_csdd_2014_cost_study. Accessed October 21, 2016. Reference for prices of new drugs are higher in the US Hirschler B. Exclusive—transatlantic divide: how US pays three times more for drugs. Reuters. http://www.reuters.com/article/us-pharmaceuticals-usa-comparison-idUSKCN0S61KU20151012. Published October 12, 2015. Accessed July 26, 2017. National Institute for Health Care and Excellence (NICE). https://www.nice.org.uk. Accessed October 26, 2016. Qualifying for pediatric exclusivity under Section 505A of the Federal Food, Drug, and Cosmetic Act: frequently asked questions on pediatric exclusivity (505A), The Pediatric "Rule," and their interaction. 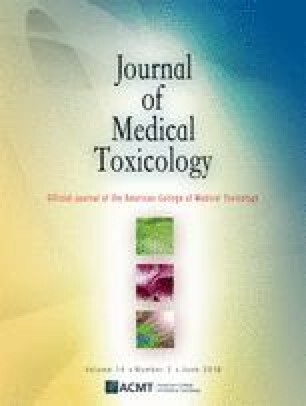 http://www.fda.gov/Drugs/DevelopmentApprovalProcess/DevelopmentResources/ucm077915.htm. Accessed October 21, 2016. BTG settles CroFab patent litigation with Bioclon and RDT. https://www.thepharmaletter.com/article/btg-settles-crofab-patent-litigation-with-bioclon-and-rdt. Accessed August 26, 2017. NPR. Price soars for key weapon against heroin overdoses. http://www.npr.org/sections/health-shots/2015/09/10/439219409/naloxone-price-soars-key-weapon-against-heroin-overdoses. Accessed October 21, 2016. STAT. Doctors have toxic reaction to Valent pricing for a lead poisoning drug. https://www.statnews.com/pharmalot/2016/10/11/valeant-drug-prices-lead-poisoning/. Accessed October 21, 2016. The Washington Post. This $153,000 rattlesnake bite is everything wrong with American healthcare. https://www.washingtonpost.com/news/wonk/wp/2015/07/20/this-153000-rattlesnake-bite-is-everything-wrong-with-american-health-care/. Accessed October 26, 2016.